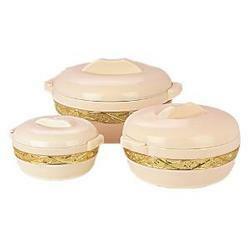 We are a leading Exporter of insulated thermal casserole and thermal food casserole from Vasai, India. Insulated thermal casserole is made out of 100% FDA approved materials. The exquisite finish and colours make this product a fast moving product globally. Insulated thermal casserole has the best food preservation properties. 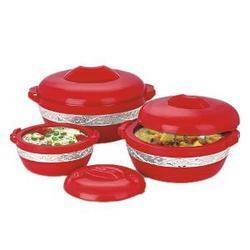 Thermal food casserole is a unique product aimed at retaining condition of food as it is when it is cooked. Transfer cooked food into thermal food casserole to retain temperature and nutritional value. Made out of 100% virgin polypropelyene, this casserole can retain same food condition upto 6-7 hours.